Adventures in Sane Living » who’s your bolognese now? Heat oil in a saute pan over medium high. Mince carrots, celery and onion in a food processor. Cook in oil, until fragrant. Add in beef and cook until browned. Add in tomato, garlic, oregano and basil until reduced and thickened. Add in coconut milk, vinegar, yeast & salt. Cook until thick. While sauce is cooking down spiralize zucchini in spaghetti setting. 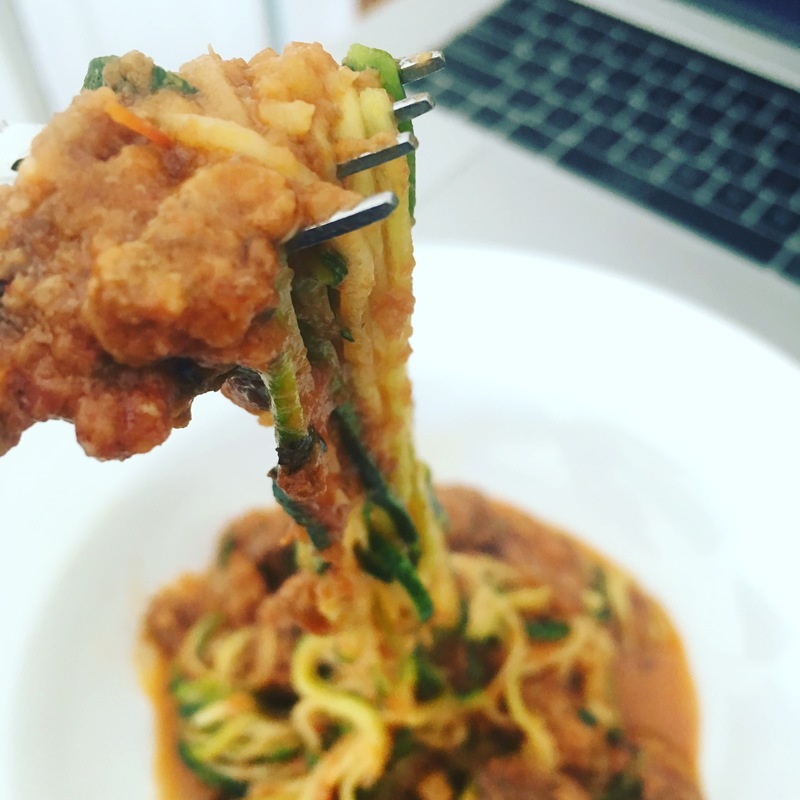 When sauce is thick, add in zucchini* and cook until they reach your desired tenderness. Serve and enjoy! One zucchini is enough for about 1 serving. If you’re only eating one serving, then just make one and save the rest for leftovers.